The mines are known as “Inikler” cave. 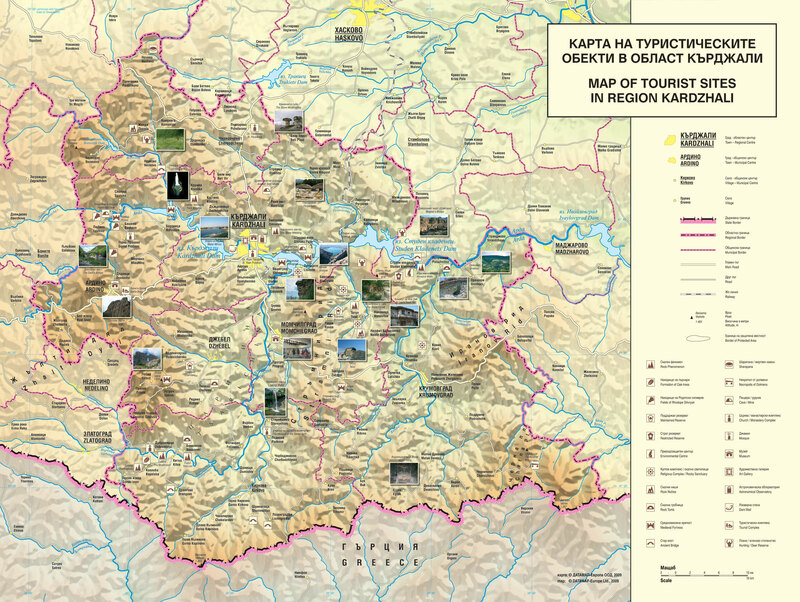 They are located around 200m leftwards on the road Kardzhali-Haskovo (through Stremci village) and after the microdam between the villages of Rani list and Stremci. They have few entrances that are connected underground. Along the slope of the hill could be seen vertical mine works that were probably air-holes used for ventilation. 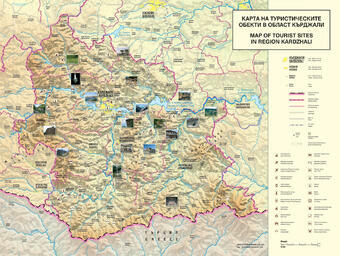 The complex is located on a dominating peak near Gorna Krepost village and around 20km north of Kardzhali. Local people know it as Djin tepesi (The ghosts’ mountain). The complex encompasses area of around 17000m2. The earliest traces of human activity date back to the end of 4th – 5th millennium B. C. when people started to worship and bring gifts to the Rock. After a long calm period, in the late Bronze Age begins the construction of a cult complex that went on through the centuries. Hu-man presence can be noted around the entire hill. This is a Medieval fortress, built in 11 – 12th century on a dominant height in the area of Zvezdel village. The remains of two big towers could be seen. Traces of residential rooms and a chapel are present in one of them. At a later time both towers were connected by a fortress wall. “Punar Kaya” (The rock well) is a beehive tomb located in the area of Stareischino village. It sets the beginning of a spring, the water from which is collected in two small cut down basins connected with a groove. The niches are situated on a standing out rock on the right side of the road on the way to Lale village. They are located on an accessible place and are hewn in limestone rock, which is quite rare. The niches are 11 and allocated on two levels. Some are not finished giving the possi-bility to follow the steps of their construction.